After having fasted for 7 days twice and once for 10 days, I became obviously very interested in the topic and studied the benefits and what it does to the body. After having read several books on the topic and countless articles on the internet, here is my summary of how to approach water fasting to get the most benefits and make it as easy as possible. Reines, stilles Wasser ist die Grundlage für das Fasten. A preparation is not essential but it can make your fasting experience much easier. The best tip I can give to anyone planning ahead for a water fast, is to eat a very low carbohydrate diet leading up to the fast for at least 5-7 days. During that time the focus should be put on protein intake and low carbohydrate vegetables. This will pull your metabolic shift from carbohydrates to fats ahead and out of the fast. That way you go into the fast somewhat adapted to ketosis. Of course not all cells have switched fuel sources, but wasting of lean muscle mass is greatly reduced in this way. 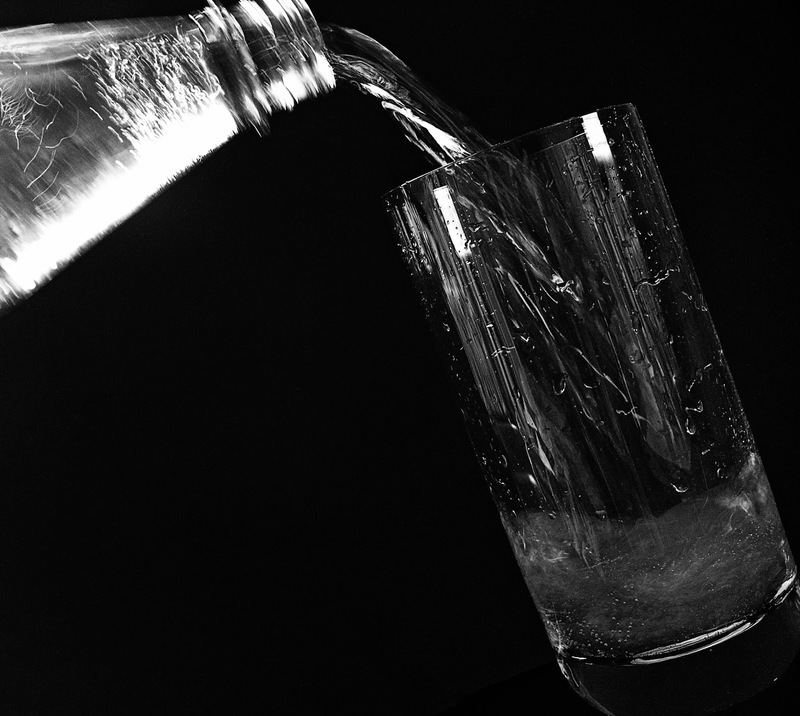 During the actual fast, it's best to consume only pure water. No salt, potassium or any minerals. Of course, depending on the length of the fast, you have to look out for any symptoms of electrolyte imbalances after a longer time period. But for hunger and the actual purpose of the fast, autophagy and to rest the bowels, you want to consume nothing that could stimulate digestion. Drinking herbal teas actually makes the fast more difficult instead of easier. The flavor signals the body to start the digestion process and it makes you more hungry rather than less. You can decide if you want to use something like enemas or salt water flushed to "clean" out the bowels at the beginning of a fast. I have done with and without it, and both ways I had no issues. But I have found the salt-water flush to be uncomfortable and you run the risk that it does not work, which leaves you bloated and your electrolytes out of balance. Enemas are the most pleasant way to empty the bowels. If you had a lot of fiber in your last meal, an enema is a good idea, otherwise the stool might become hard over the fast if you were not able to completely pass it during the first days. If you do the fast because you are sick and want to heal something specifically, you should rest and abstain from heavy exercise. I have found though that at least some outside walking daily is very beneficial. I have also exercised (running) during another fast and found it to be no problem. But you can only do that if you have enough fat mass and do not intend to fast as long as possible. Drink according to your thirst. I actually found that to be difficult, because most of my life I drank a certain set amount per day. Therefore I have found the optimal amount to be when the urine remains only slightly yellow. This gives the kidneys enough water to deal with the increased elimination. In case you experience pain in the kidney area, first increase your water intake and if that does not help, you can take half a teaspoon of baking soda in a glass of water. This helps the kidneys buffer the acids. Breaking the fast can be done in several different ways. But in general it is important to start with a reduced amount and eat slowly. Expect to be back to full digestive capacity in about a third of the amount of time that you fasted. If you fasted for three weeks, slowly bring back up food intake over the course of one week. Most fasting practitioners recommend to start with vegetable and fruit juices. I would only stick with low sugar vegetable juices as the sugar content of fruit juices can overwhelm the body. After vegetable juices I would go to steamed vegetables and whole fruits. After that cooked grains and lastly legumes and nuts. Depending on which diet you want to follow after the fast, it is also possible to break the fast with high-fat foods. Starting with an avocado or raw nut butters is a good idea. I have tried both approaches and both of them worked. I have found that the greatest benefit of a 7-10 day fast, in practical terms, is that is completely resets your taste buds. That gives you the opportunity to follow any diet you want after the fast and if you consequently stick to the new diet, you can taste and enjoy foods you didn't like before. For example, after one of my water fasts I chose to eat the diet recommended by Dr. Esselstyn. A low-fat, whole-foods, plant-based diet, without oil, sugar and salt. For most people that diet is very difficult to stick to in the beginning. But coming from a water only fast, the taste buds are so sensitive that it is easy to avoid all oil, sugar and salt. You basically compress the adaptation period of about a month down to one week of fasting.